Make your lifelong interest in science the focus of your education career. Whether you decide to teach science or develop curriculum that will inspire more students to enter into science careers, you’ll never be bored. New advances in science are being made daily as our knowledge base and technologies increase. Additionally, as a lifelong learner, you’ll have the reward of being introduced to fresh and exciting new discoveries on a regular basis, and the joy of sharing those discoveries with students. TUITION SCHOLARSHIPS - The Curry School has received a multi-million-dollar grant from the National Science Foundation (NSF) to provide scholarships to students in our science degree programs. Take advantage of this excellent opportunity. If you’re interested in Science Education, you have a variety of degree options at the Curry School of Education and Human Development. For undergraduates interested in teaching middle and/or high school mathematics, we offer a one year post-graduate master's of teacher degree (PGMT). Our M.Ed. and Ed.S. degrees are offered in conjunction with Curriculum & Instruction, where science is an emphasis area. Doctoral studies in science are also available. Students engage in studies across math, technology, and engineering disciplines while concentrating on Science Education. According to Teach.com, “STEM-related careers are some of the fastest growing and best paid of the 21st century, and they often have the greatest potential for job growth.” Teachers in this field command a premium salary. At the Curry School, we’ll prepare you to seize these opportunities and gain meaningful, successful employment. Students earning a MT degree who intend to become middle or high school science teachers can expect to have several job opportunities. Our Curriculum & Instruction graduates also have many options. They have become instructional coordinators or curriculum specialists, gone into government to improve educational policy, and pursued careers in academia and research. A Ph.D. will prepare you for a career as a college or university professor or as a researcher in research organizations. Choosing the right degree within our program is important to ensure that you achieve an outcome that supports your career goals. Let us help guide you through your choices. The Science Education program offers a Master of Teaching (MT) degree with licensure and endorsement in Biology, Chemistry, Earth Science or Physics Education, grades 6–12. NEW PROGRAM CHANGE - The Curry Teacher Education program is pleased to announce the conversion of its secondary education program to a one-year Post-Graduate Master of Teaching (PGMT) starting May 2018. The one-year program will offer an intensive, field-based curriculum centered on high-leverage teaching practices. This program will replace the current B/MT and two-year PGMT models. Earning an M.Ed. in Curriculum & Instruction provides you with a strong foundational knowledge of curriculum and instruction principles and the opportunity to explore educational assessment concepts. With this rigorous graduate degree, you can select Science Education as your area of emphasis. Curry’s Education Specialist (Ed.S.) degree program is a terminal graduate program designed for the professional educator. Its 30-hour (minimum) requirements can be completed either full- or part-time, and you can select Science Education as your area of emphasis. Earning a three-year Ed.D. in Curriculum & Instruction prepares you for employment as a curriculum specialist, faculty member or educational consultant to develop policies related to curriculum and the education of professionals. You can select Science Education as your area of emphasis. Part-time students must complete at least one academic semester registered as a full-time graduate student (12 hours). By attaining a Ph.D. in Education—Science from Curry, you are prepared for a college or university position in science or for a position within a research organization. 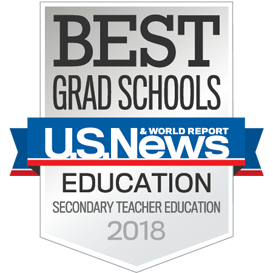 The program includes coursework, a research apprenticeship, a dissertation, and practical experiences to prepare you to: Produce original research that contributes to the knowledge base in science or to teacher education in general, Educate teachers in the area of science and evidence-based practice, and Provide effective leadership in the field of science education.